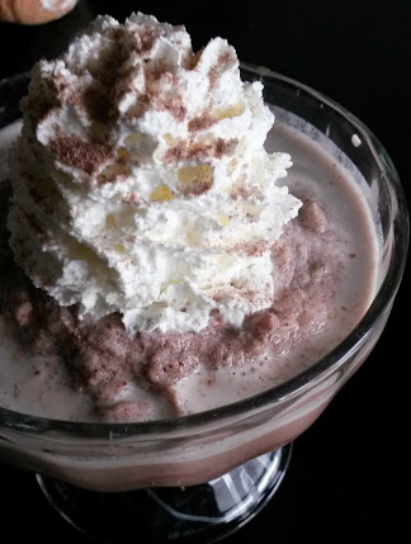 The delicious recipe for the original Serendipity Frozen Hot Chocolate! Indulge and enjoy this holiday season. Over Thanksgiving break we go the chance to go down to Las Vegas where my husband was working that week. The trip with three kids and me alone to handle them was eventful. But one ticket, one dog drop off at the “doggie hotel” and several bathroom stops later we made it to Las Vegas. We were so glad to see my husband for all of one minute until the kids saw the pool from our 20th floor window and Dad was out and the pool was in. The next day while Dad went off to work for a few hours I was in charge. I loaded up the kids and we headed out for a day on the strip. Along the way they got M&M’s at the M&M Factory, chocolate from the Hershey’s Factory, a pretzel and then I saw what I wanted….Serendipity. By that point I was sweating like a pig and had had it with trying to keep all three of them in one spot. Why..why do they move so much? And why must they all run in three different directions in every store we go to?? I needed my own chocolate. Nope, didn’t enjoy a lot of that $11 frozen hot chocolate. In fact, they slurped it up so fast they had a headache. 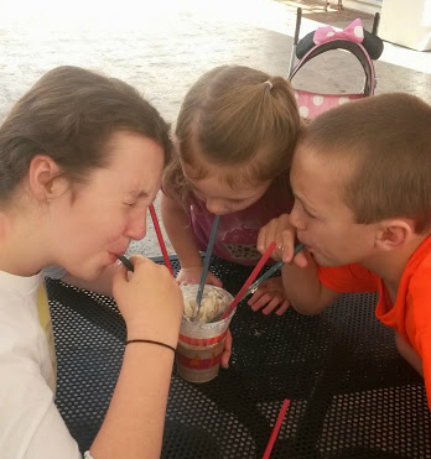 And wouldn’t you know that the first thing those kids wanted after getting home from their trip was a frozen hot chocolate in 20 degree weather? In a saucepan on very low heat, melt the chocolate. Once chocolate is melted, stir in the hot chocolate mix, sugar and 1/2 cup milk until smooth. Remove from heat, add in remaining one cup milk and allow to sit until it reaches room temperature. Place the chocolate mix and ice in the blender and blend until smooth. 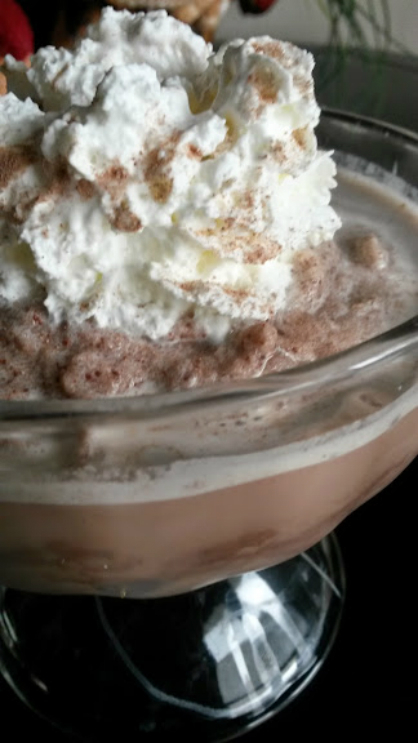 Pour into a glass, adorn with chocolate shavings and whipped cream if desired.